It's a brand new NFL Draft! 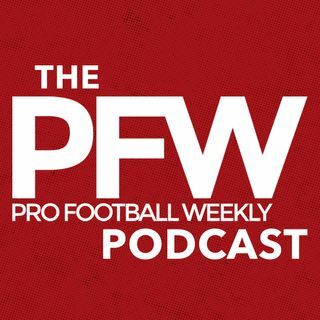 Hosts Arthur Arkush and Nate Atkins are joined by Pro Football Weekly Draft Guide Editor Greg Gabriel in the first half to discuss the immediate results of the Los Angeles Rams trading up for the No. 1 pick in the NFL Draft with the Tennessee Titans. Sports Illustrated draft and NFL expert Chris Burke then joins Nate and Arthur in the second half to talk about the big trade and what the Rams will do with that No. 1 pick. Burke also gives a few of his favorite ... See More guys he's been scouting for the draft.